Hi again, this is another update after a few weeks of hibernation. 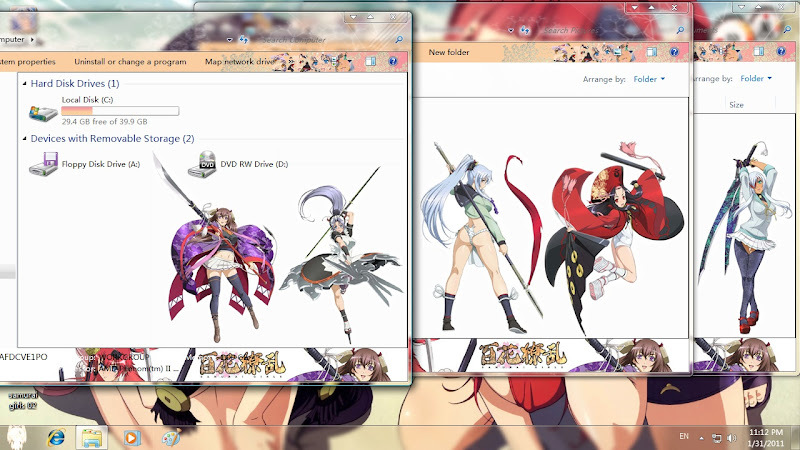 This is come from the anime series call Samurai Girls, I'm not sure how good this anime is, because I only watch 1st episode, but at least the style is quite unique, that what attract me, but still I currently put it on hold. Anyway is this a good series? Ok, back to topic. 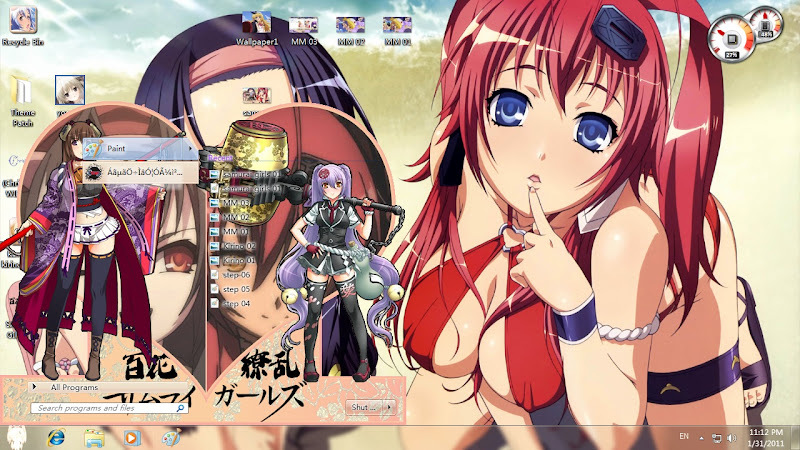 This Windows 7 theme was created by Natsukyo, if you want to see other theme you may go to the author blog for more, those 7 theme before November last year (2010) will not work fine, which mean need lots of extra step to achieve (this apply to the Team Zero theme...). That all for this theme. Now think of next theme, erm... dunno yet, probably will be random :). 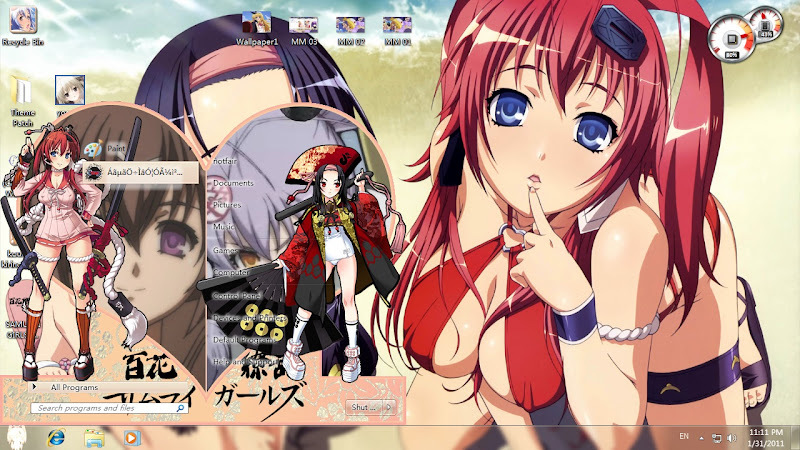 Oh ya, if you dunno how to use this theme, please refer to this article. And last, get the girls via below link.